Of the events, I would recommend above all Roberto Fonseca and his Quartet at the Theatre de l’Archipel in Perpignan, on Sunday 21 October at 6pm. I have already heard this young Cuban pianist twice (in England) and it is a real treat that he is bringing his joyous and lyrical take on Afro-Cuban music to Perpignan. Talking of the Theatre de l’Archipel, do check out their programme of international quality performances, including: a circus starring a real live magpie (2 & 3 Nov), Musical juggling (18 Nov) and even a concert featuring a meal cooked for the audience live on stage! (19 & 20 November). Another super cultural asset in Perpignan is the “Casa Musicale”, in the old Arsenal (not the football team!) adjacent to the Palais des Rois de Majorque (www.casamusicale.net). They run loads of musical workshops (including flamenco dance, gospel singing and latin percussion). They also put on concerts, many of them free; for example on Friday 23 November there is a concert/dance, featuring the Harlem Nights Big Band led by British expatriate Gavin Hackett. The event is free and you can dance the night away to music from the thirties to the sixties, by the likes of Count Basie, Glenn Miller and Dule Ellington. 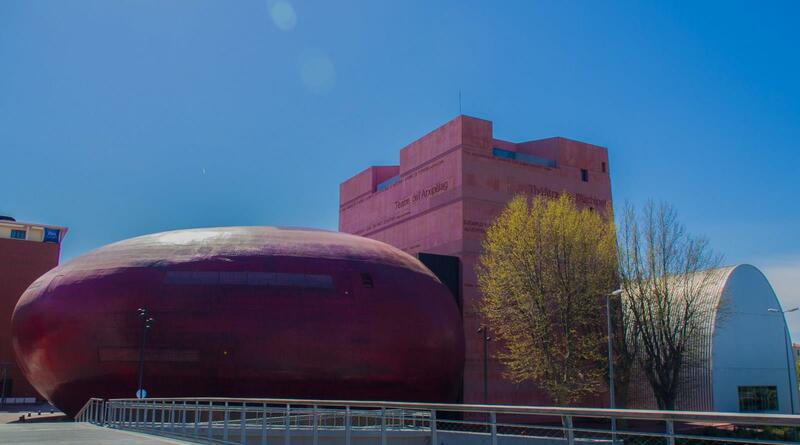 Although a lot of the cultural action is in Perpignan, the region is dotted with quality venues, for example the Salle de l’Union in Ceret, a Tardis-like venue (looks small from the outside but is enormous inside) which has a programme running right through the autumn and winter. If you haven’t already been, be sure not to miss the exhibition dedicated to Raoul Dufy at the Musée Rigaud In Perpignan (until 4 Nov.) Even if you are not a great art connoisseur, Dufy’s figurative paintings ( many done in Perpignan) are a colourful joy to behold. And the refurbished museum is pretty impressive too. Finally, don’t forget to check out the exciting programme at Saint Estève’s fabulous lakeside theatre, Le Théâtre de l’Etang; great entertainment at prices that make regular theatre-going easy, with many shows at just 5€! Plenty of parking space, access for the disabled, and a high quality of music, dance, theatre, comedy and culture mean that you’ve got no excuse not to get yourself out to the theatre this season!